LOS ANGELES, CA (May 25, 2018) – BOOM! 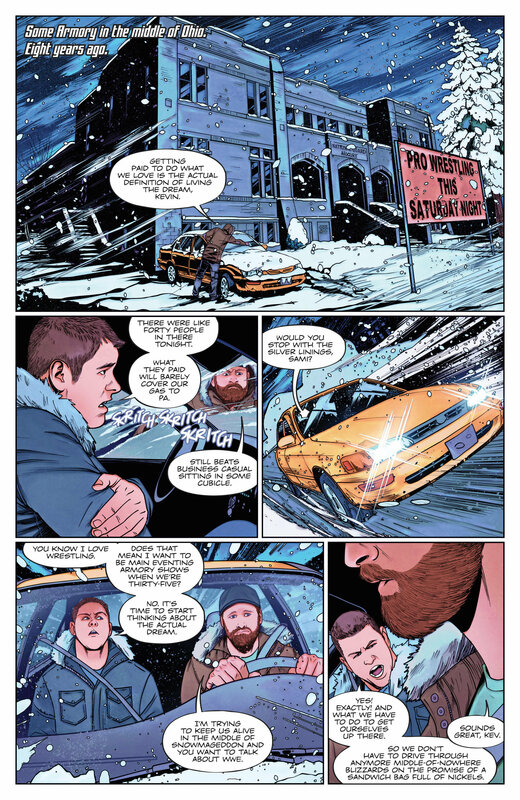 Studios and WWE unveiled today a first look at “Fight Forever,” the new storyline beginning in WWE #18, on-sale June 20. WWE Superstars Kevin Owens and Sami Zayn joined forces at WWE’s Hell in a Cell event after a lifelong rivalry – but how did Owens convince Zayn to put aside their differences and join his mission? The story of this alliance is told by the acclaimed WWE comic book creative team of writer Dennis Hopeless (Jean Grey) and artist Serg Acuña. 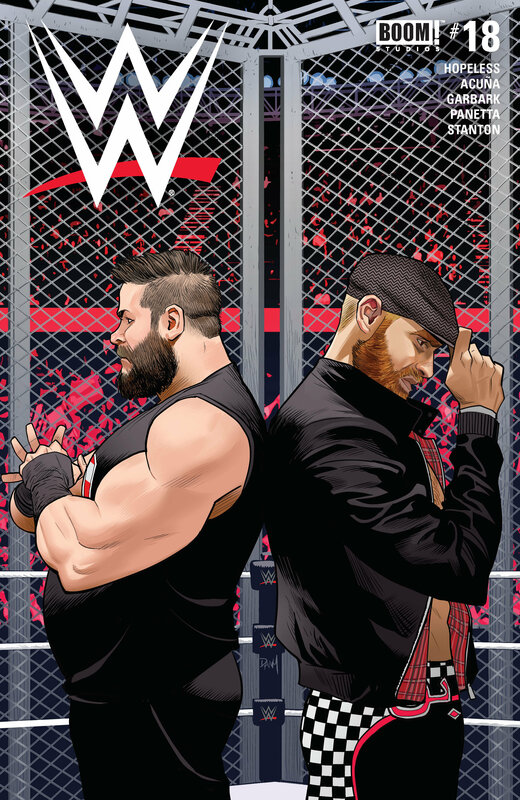 WWE #18 features a main cover by Dan Mora (Saban’s Go Go Power Rangers), along with variant covers by Adam Riches (G.I. Joe), Brent Schoonover (Captain Marvel) and Marco D’Alfonso (I Am Groot). 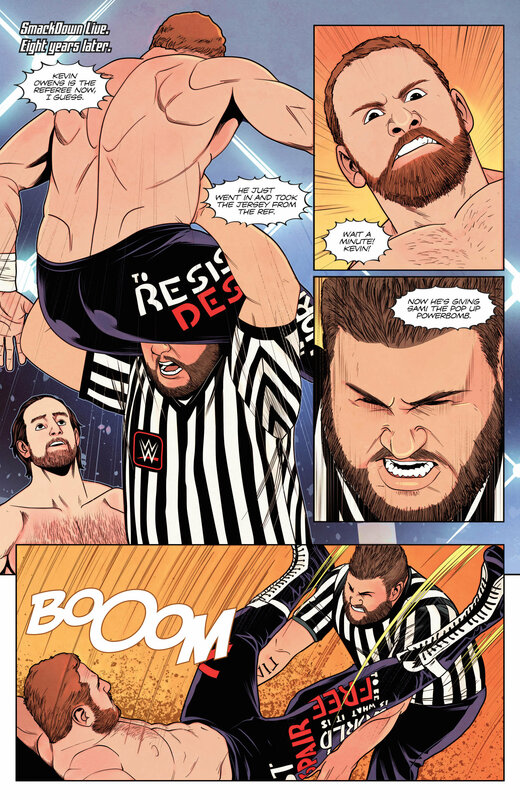 WWE #18 is the latest release from BOOM! Studios’ eponymous imprint, home to a world-class group of licensed comic book series and ambitious original series, including Mighty Morphin Power Rangers, Planet of the Apes, Big Trouble in Little China, Victor LaValle’s Destroyer, Mech Cadet Yu, Grass Kings, and Klaus. 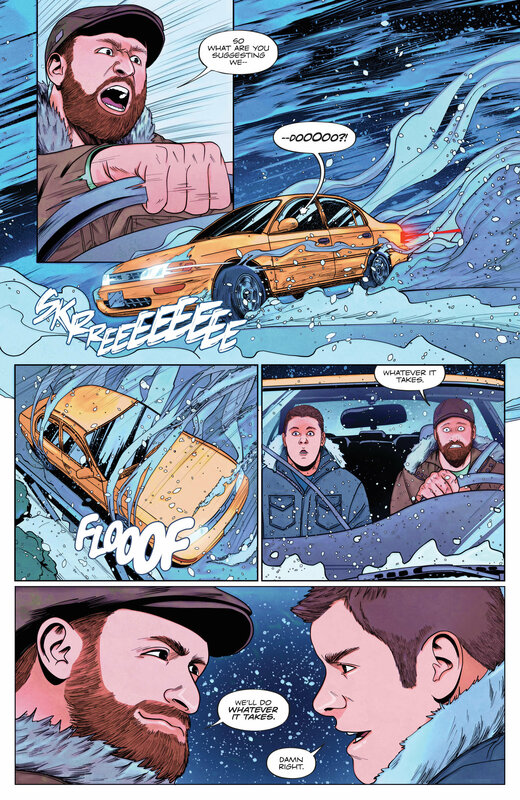 Print copies of WWE #18 will be available for sale on June 20, 2018 at local comic book shops (use comicshoplocator.com to find the nearest one) or at the BOOM! Studios webstore. Digital copies can be purchased from content providers, including comiXology, iBooks, Google Play, and the BOOM! Studios app.